This resource, written by Mia Ridge in collaboration with Culture24, describes how to optimise your organisation’s Google Analytics account. It is aimed at staff that work on websites, or in public engagement or marketing. It does not assume any technical skills. This resource will help you understand why tracking your audience’s online motivations is important and give you practical suggestions about how you can use online surveys effectively to explore these motivations within a logical research orientated methodology. This is one of ten digital guides commissioned by The Audience Agency from Culture24 as part of Audience Finder, the national big data and benchmarking programme for the cultural sector in England. 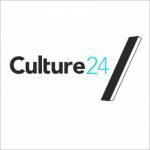 Culture24 exists to support the cultural sector to reach audiences across digital platforms. We collect, curate and distribute content from and about museums, galleries and other cultural institutions. In so doing we provide a digital platform for cultural organisations of all sizes, promoting their activities and content to a wider audience via both their own channels and third party services.